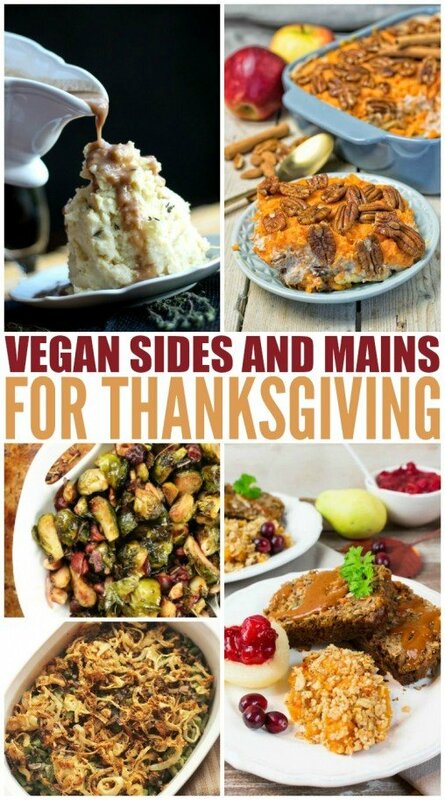 It’s time to rock your plant-based, vegan Thanksgiving this year and here’s a list of 20 to get you going! 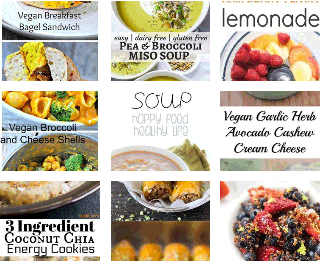 Most of these are quite low in oil and sugar so you can feel good sticking with your goals. 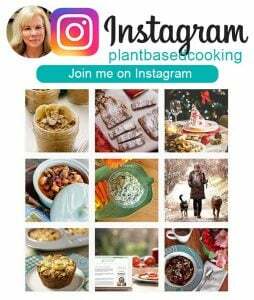 If you’re looking for dessert, don’t miss my Thanksgiving Dessert Roundup for a sweet ending to your plant-based vegan meal. 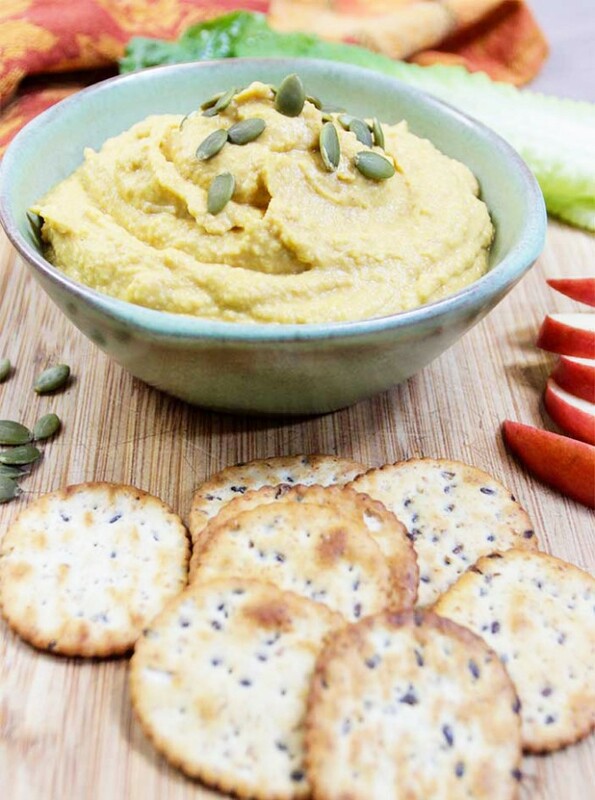 This low-fat Pumpkin Hummus is a great starter for any meal, but especially fun on Thanksgiving! 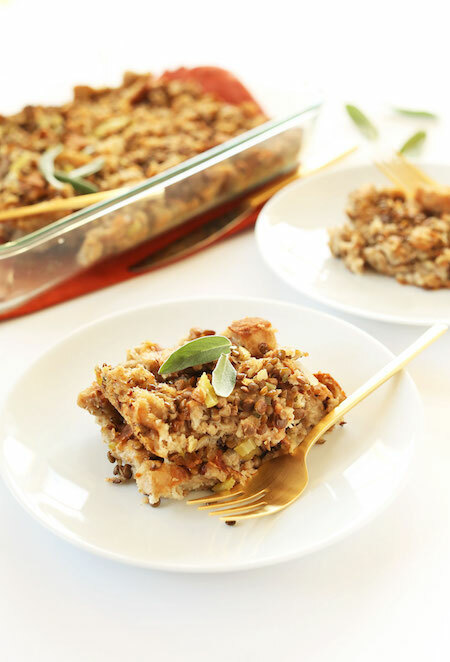 This Simple Vegan Stuffing requires just 9 ingredients and is loaded with protein and fiber. 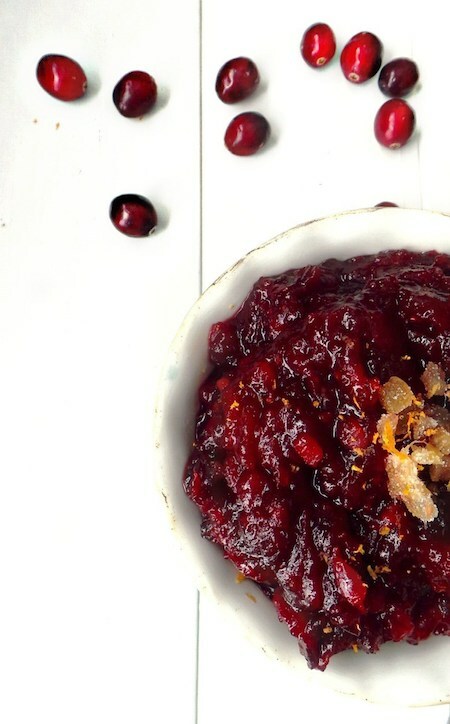 Candied ginger makes this Cranberry Sauce anything but basic, yet, it is so easy and delicious. 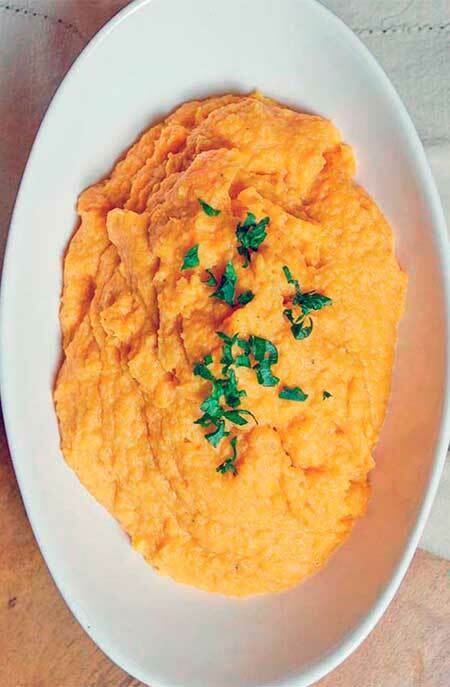 Cauliflower Sweet Potato Mash is a delicious combination of sweet potatoes and cauliflower. 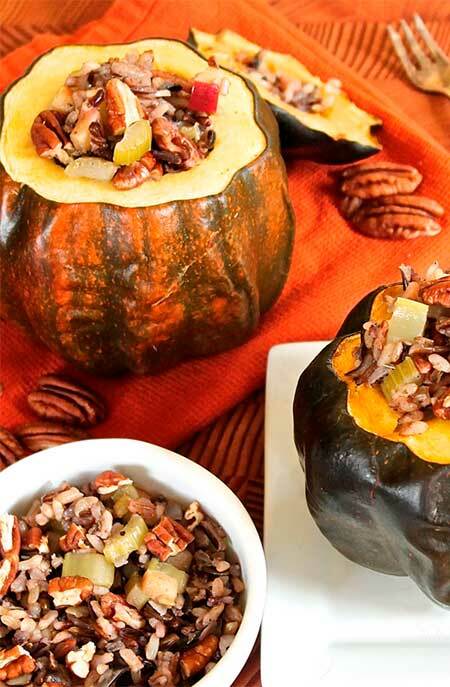 Wild Rice Stuffed Acorn Squash, amazingly delicious, tender and sweet and easier to make than you think. 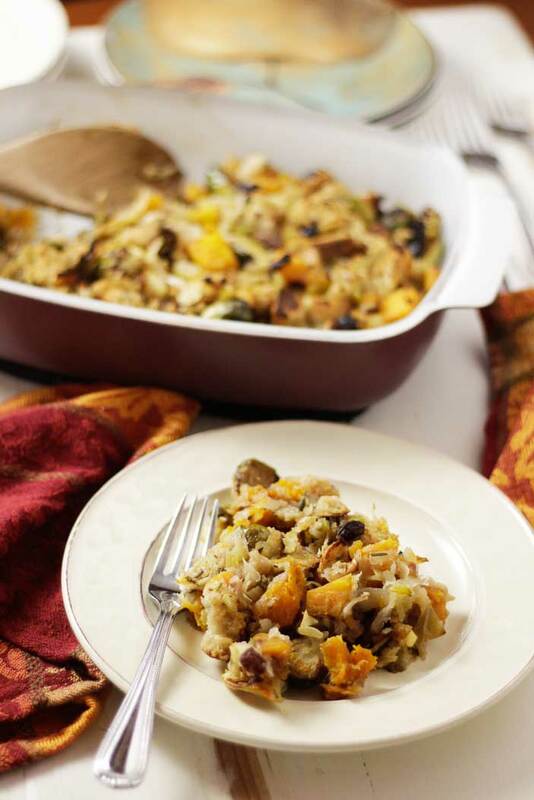 This savory & delicious Butternut, Brussels Sprouts, Apple stuffing is easy to make especially if you use pre-cut squash. 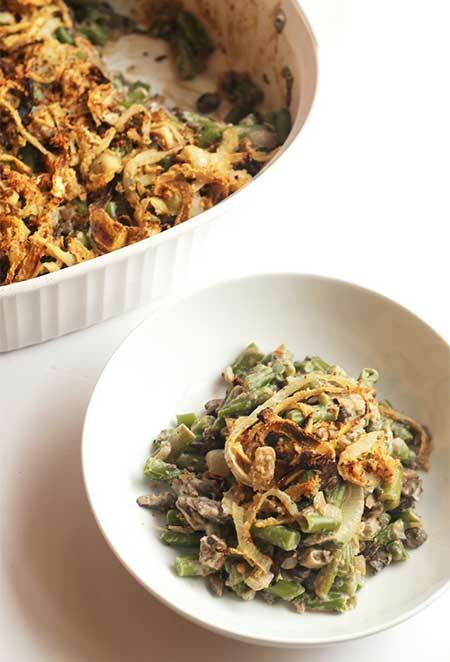 This Healthy Green Bean Casserole tastes so decadent that you’ll never guess it’s dairy and guilt-free! 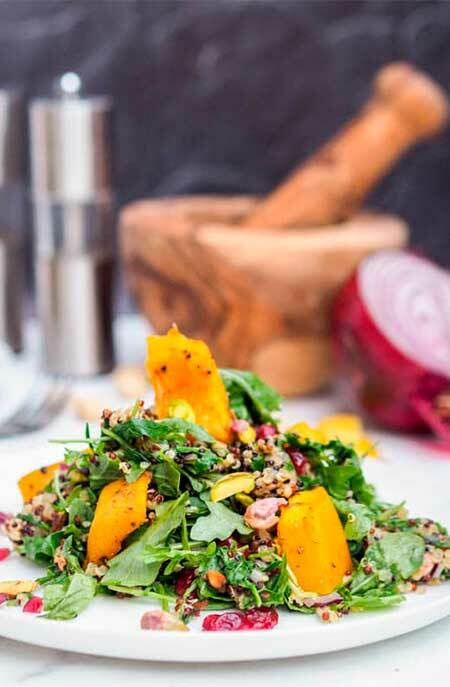 This Acorn Squash with Cranberry and Pistachio Salad has tons of fresh crisp fall flavors all fusing together with a zesty lemon mustard dressing. 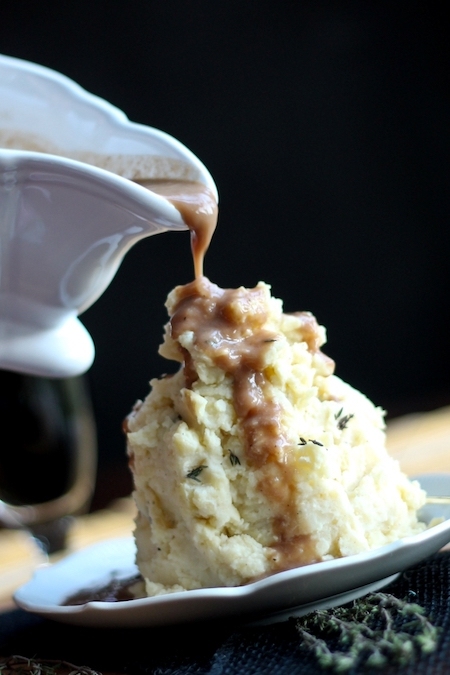 A food processor makes whipping up these Cauliflower Mashed Potatoes a cinch. 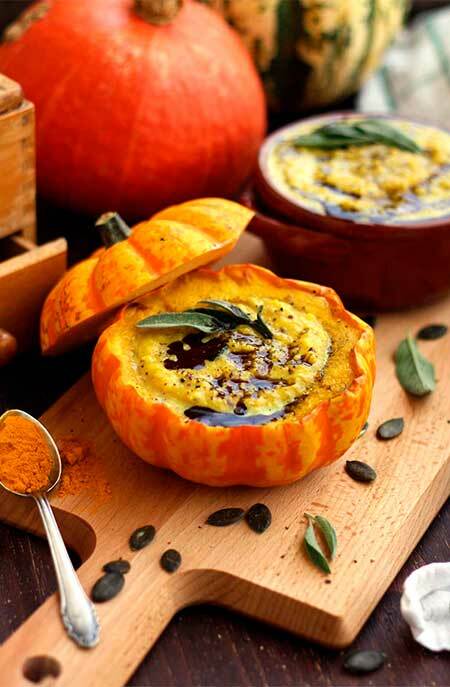 This Easy Pumpkin Soup with millet and 3 kinds of squash is beautiful as it is nutritious! 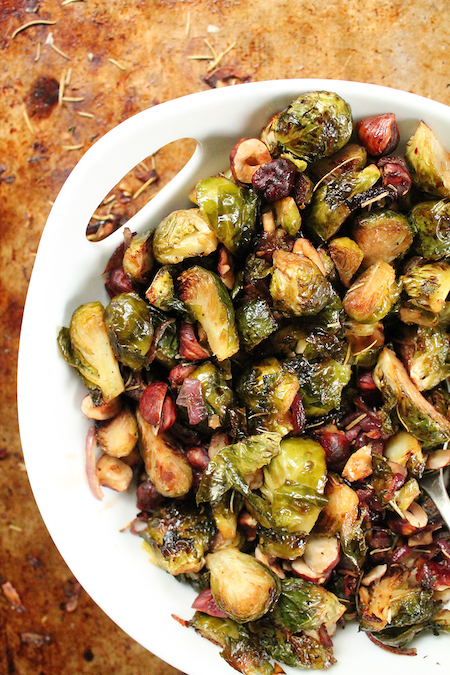 These delicious Brussels Sprouts have a sweet flavor thanks to maple. 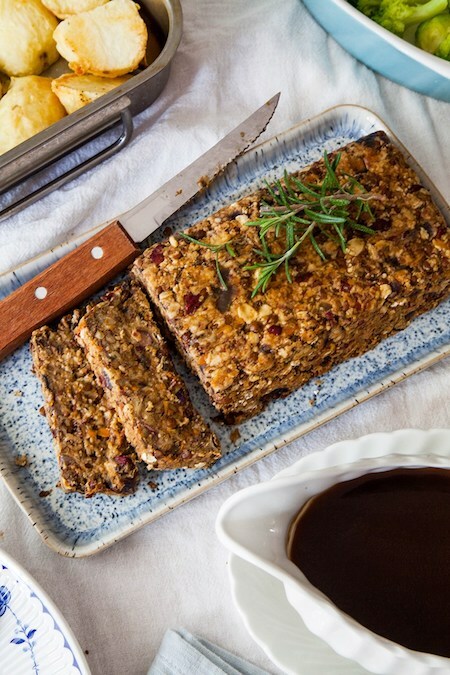 You will want to make this Lentil Loaf & Gravy over and over again. 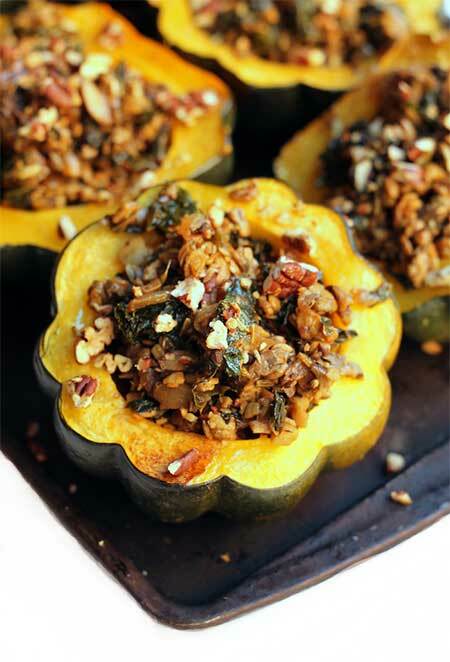 This Tempeh Sausage Stuffed Squash tastes like you slaved away in the kitchen all day! 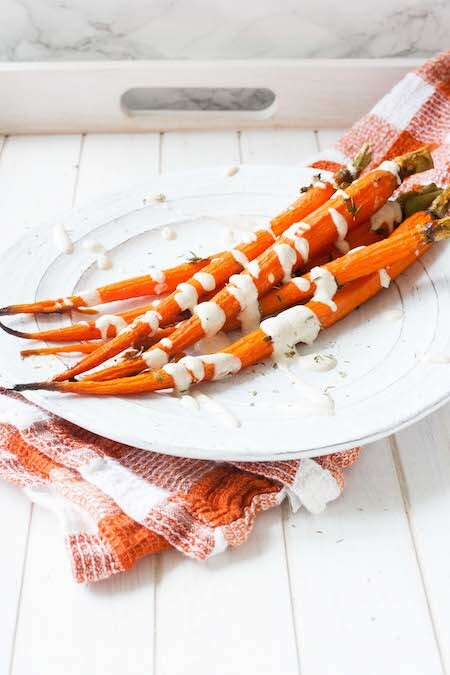 Smoky Maple Roasted Carrots are covered in a lemon thyme sauce that is to die for! 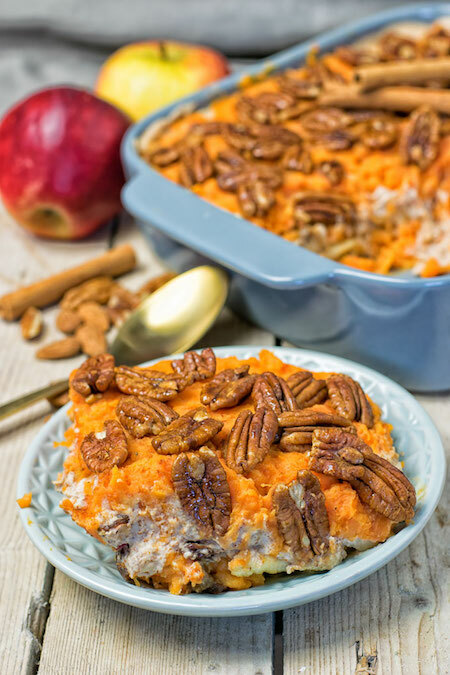 Sweet Potato Casserole with Candied Pecans is made with just 6 ingredients in 3 easy steps. 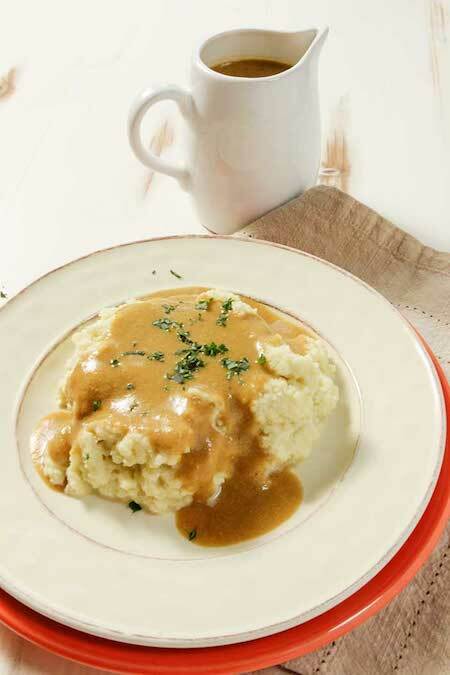 These Fluffy Buttermilk Mashed Potatoes are so creamy, rich and full of fantastic flavor. 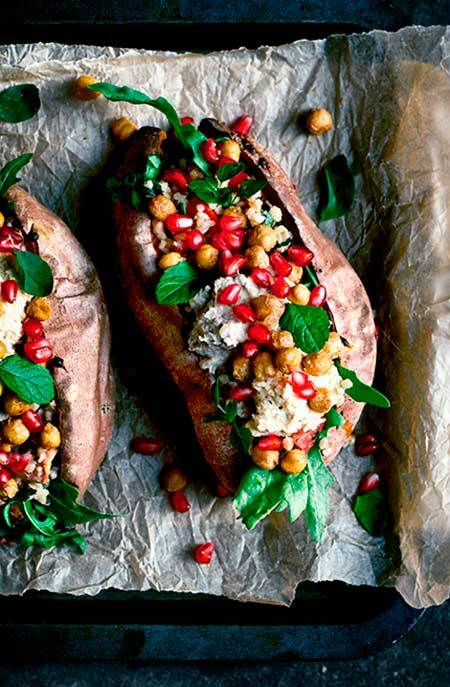 Simple, cozy, baked sweet potatoes stuffed with tabbouleh, greens, crispy chickpeas, hummus, and baba ghanoush. 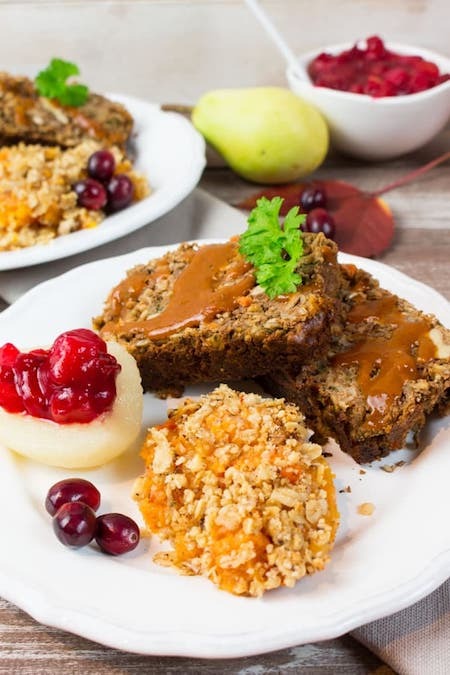 This Thanksgiving Lentil Loaf takes just over an hour to make and bake! 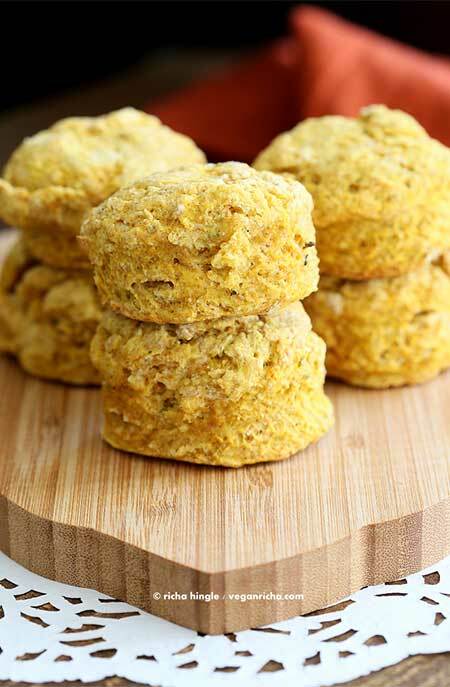 These Soft Pumpkiny Pumpkin Vegan Biscuits are perfect for fall. With fresh sage, thyme and less oil. 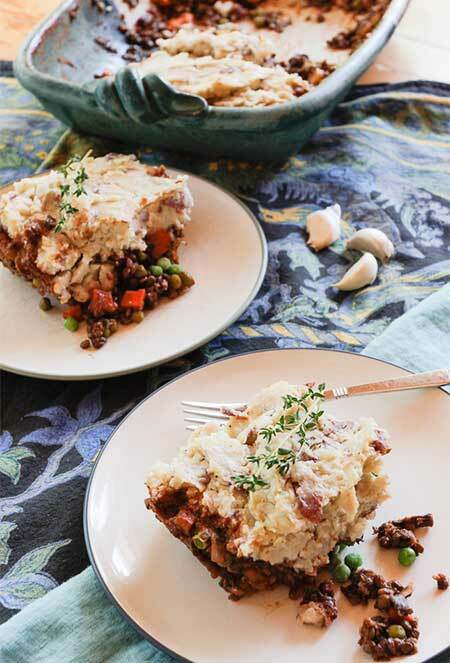 Deep dish Lentil Shepherd’s Pie is so comforting and satisfying even for a crowd. 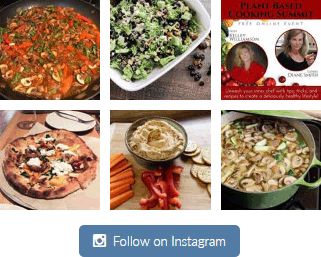 Thank you so much for your wonderful affirmations and recipes. You’re welcome! This time of year (the holidays) can sometimes be a challenge and I hope these help.